Flatdogs Camp is set in a spectacular riverine forest with continuous shade from Winterthorn and Mahogany trees along the river. Flatdogs has just four spacious chalets each of which can accommodate 4 people in two separate rooms on two levels. There is a shared en-suite bathroom and a communal kitchenette and dining room so they are ideal for a Group of four, and extremely comfortable for just two. Three of our four chalets have a downstairs double room surrounded by a cool veranda and an upstairs twin room with a high thatched roof and view of the river. Both rooms have a couch which converts into an extra single bed and cooling fans. Each bedroom has private bathroom facilities either en-suite or down a short flight of stairs. The two rooms in each chalet share a kitchenette with hob/oven, kettle and fridge-freezer so that self-catering groups can easily cook their own food and drinks can be kept ice-cold ready for sundowners by the river. In addition to the three double chalets we have a Family House with three bedrooms, comprising a total of six single beds and one double. These have a shared bathroom and fully equipped kitchen in the house. There is also an ablution block outside the house with two hot showers and flush toilets. This makes the Family House ideal for larger groups who may wish to have a few of the party camping in tents nearby. 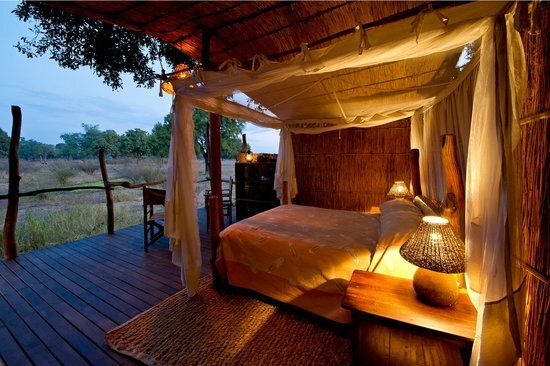 Located in the Mfuwe area, just outside the gates into South Luangwa National Park, Flatdogs Camp was once known as an excellent backpackers’ option and a really low-cost base for visiting the area. 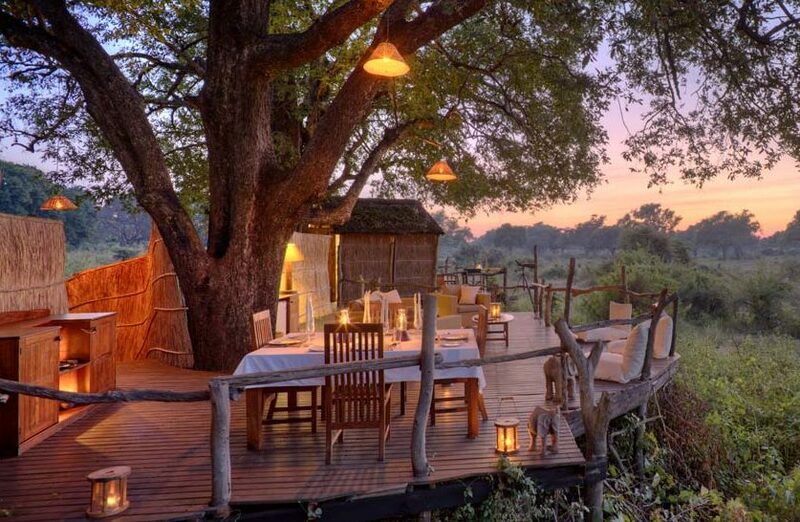 Whilst trying hard to retain its focus on value, its standards have improved considerably over recent years; it is now a comfortable safari camp that should appeal to a range of travellers. 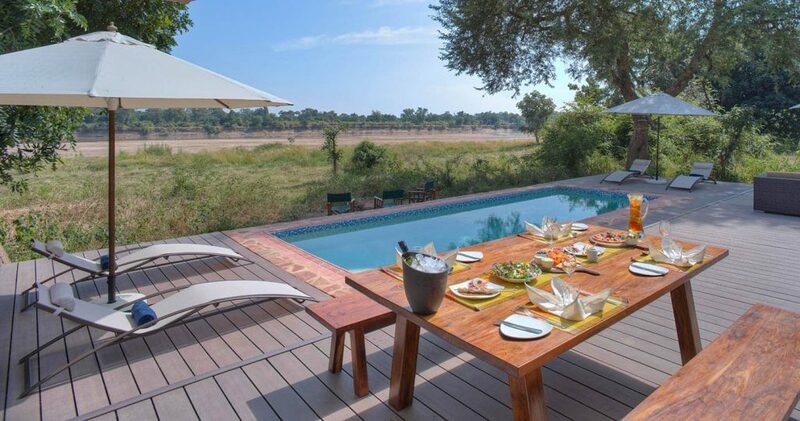 Reflecting its backpacker past, Flatdogs is a larger camp then most in the South Luangwa, accommodating up to 40 guests. Guests here are expected to have a certain level of autonomy, and in keeping with this style, meals are taken independently rather than communally with a guide or a manager. That said, the cheerful owners Jess and Ade were often around during our last visit in June 2015, greeting guests off vehicles and joining us for afternoon tea. They were more than happy to listen to requests, and they help to give the camp its own personality. 4x4 Game viewing vehicle Game drives are usually early morning, late afternoon and at night.